Lui Hok Keung, Hakka, was born in Hong Kong in 1962. His family came from Ping Hoi Bik Gaap, Fui Yong county (now under the administrative region of Fui Tung) in Guangdong province. His grandfather was a merchant (he had a merchant fleet that sailed to Hong Kong for trading) and was put in prison during the Cultural Revolution. Later rescued by his son (Lui Hok Keung’s father) the whole family then fled to Hong Kong. Lui Hok Keung was the fifth in his family. He works as a physiotherapist at a special needs school. Sau Kei Wan was a chaotic place in the 1960s and 70s. Lui Hok Keung lived in the Nam On Fong neighbourhood which was a shanty town. His elder brother Lui Hok Yeung is older by six years and was the first of the two brothers to study with Lui Chun sifu, master of Fui Tung Ching Lung Tam Hakka Hung Kuen. Lui Hok Keung began martial art training when he was eight. 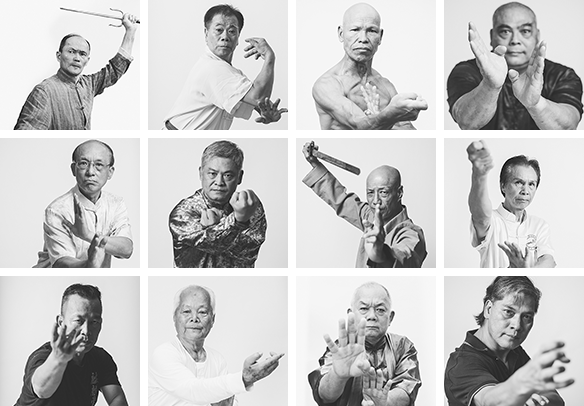 During the war, Lui Chun and his four martial art brothers took refuge in Hong Kong. Lui Chun drifted from place to place and lived for a short period in Cheung Chau, Ping Chau and Stanley, before finally settling down in Nam On Fong village in Sau Kei Wan, where he opened a martial art school. Lui Hok Keung studied martial arts at this school with around ten other villagers (mostly Hakka), who were all roughly the same age. At first a senior student taught them the basics, including three months of stance practice, followed by zik tau teoi, then other basic stretching exercises, and finally practice of boxing sets, such as Sei Mun, Yee Mun, Hai Zai Sei Niu and Hau Zi Saai Lim, two-person training sets such as Deui Zong, Sau Zong, Gwan Zong, etc., and a range of Hakka weapons such as iron rulers and lau zam. Lui Chun had branches in Stanley and Ping Chau as well, but as he was taciturn and spoke little during class. Lui Chun was also a master of Hakka unicorn dance from the Fui Tung region. In the 1970s as a proper paper-marché unicorn head commanded a handsome price (around eight thousand Hong Kong dollars), beginners practiced with a bamboo basket, and only used a real unicorn when they had gained some level of proficiency. In order to enhance unicorn dance’s entertainment value, Lui Chun introduced a series of changes in the 1970s such as increasing the size of the unicorn’s head, which made it easier to perform a figure of eight, put light bulbs in its eye sockets, and increased variations in stances – high, middle and low – with the low stance being the most important. On the eighth day of the fourth month each year (in the agricultural calendar), all the villagers accompanied unicorn dancers in their procession from the village to Tam Gung temple on Sau Kei Wan Tung Street. This tradition is preserved to the present day and remains an important part of the local Hakka community life. Besides performing at the Sau Kei Wan Tam Kung temple, Lui Hok Keung also took part in unicorn processions and kung fu performances (collectively known as “chut pang”) in Ping Chau, Cheung Chau and Stanley. 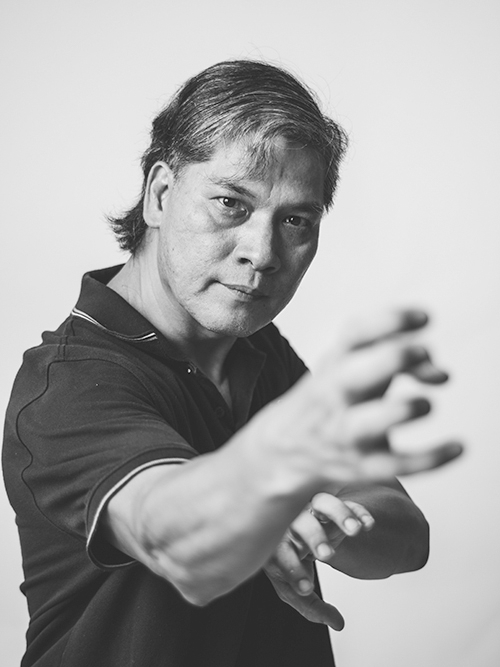 Lui Hok Keung is passionate about the martial arts. Ten years ago he began studying Yang Family Taijiquan and Baguazhang, and is a certified martial art instructor with Hong Kong Wushu Union. His main reason for learning Taijiquan was to attain greater balance between hardness and softness, as Ching Lung Tam Hakka Hung Kuen is quite a hard style. This serves the same purpose as unicorn dance with its flexible footwork. 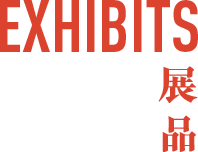 In 2000 he started to assist his elder brother in teaching and running his martial art school (at Sau Kei Wan Agricultural Business Association), while continuing to work on and improve his own practice. 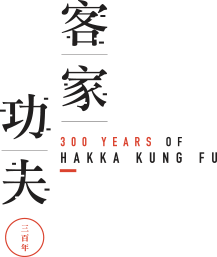 His wish is to continue the legacy of Hakka Hung Kuen and, in particular, Lui Chun sifu’s lineage.